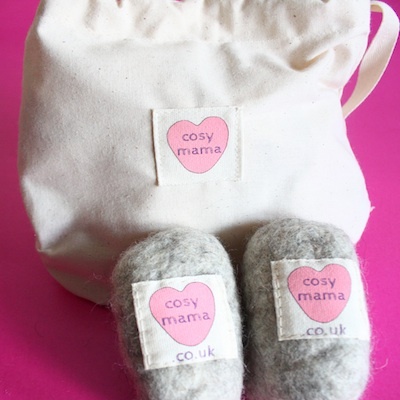 Cosy Mama's Organic Baby Booties are lovingly made using organic wool from British sheep. 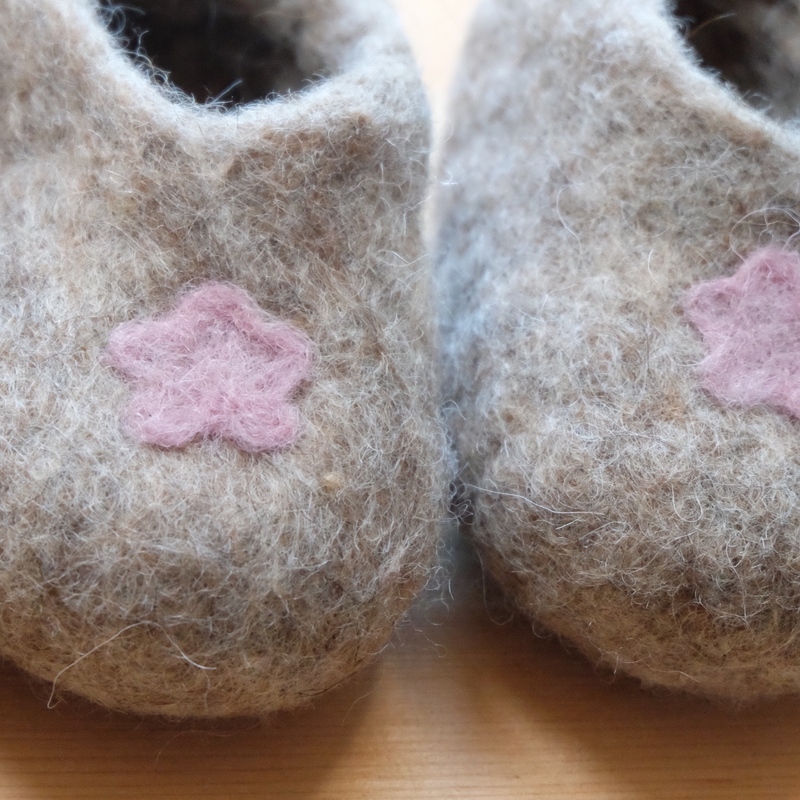 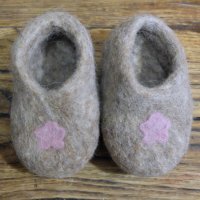 The wool is wet felted by hand into the little booties and adorable motifs are added that have been plant dyed following organic textile standards. Presented in a cute calico bag, they make perfect gifts and keepsakes that will keep baby's tiny toes really cosy! 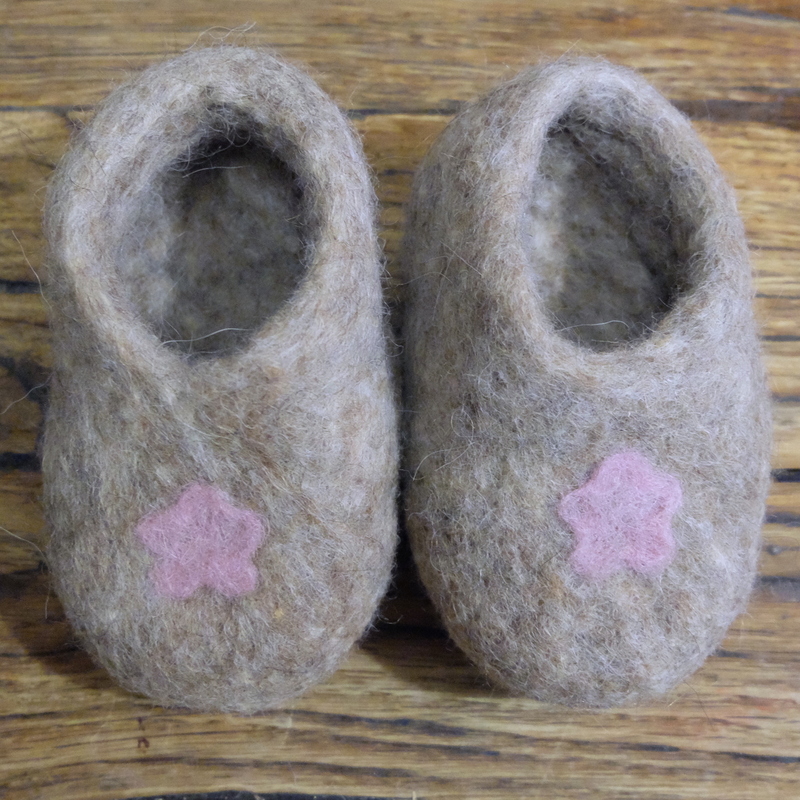 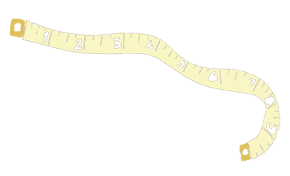 Size 6 - 12 months comes with non-slip soles. These booties are made using Organic oatmeal British Shetland wool and plant dyed wool for the dusky pink flower motifs.